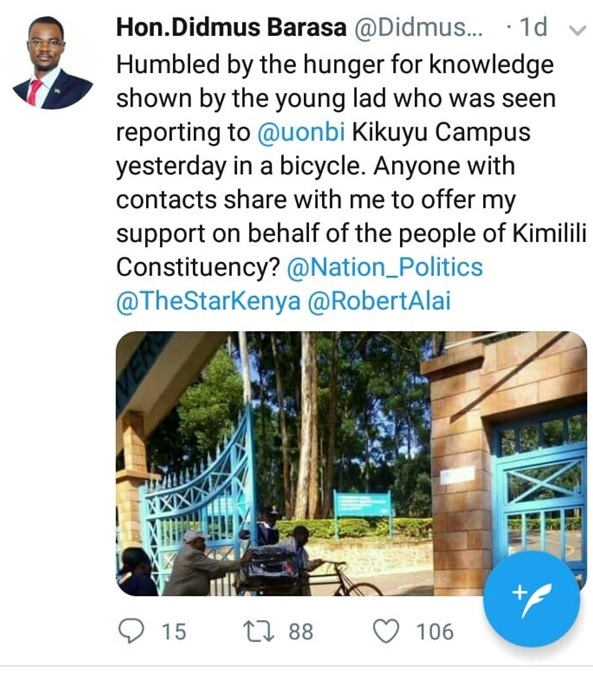 Home / Editor's Choice, Entertainment News, Featured Articles, Gossip and Drama, Photos / Thirst for education, this 1st yr student was escorted to UoN by his father in a bicycle, touching PHOTOs. Thirst for education, this 1st yr student was escorted to UoN by his father in a bicycle, touching PHOTOs. 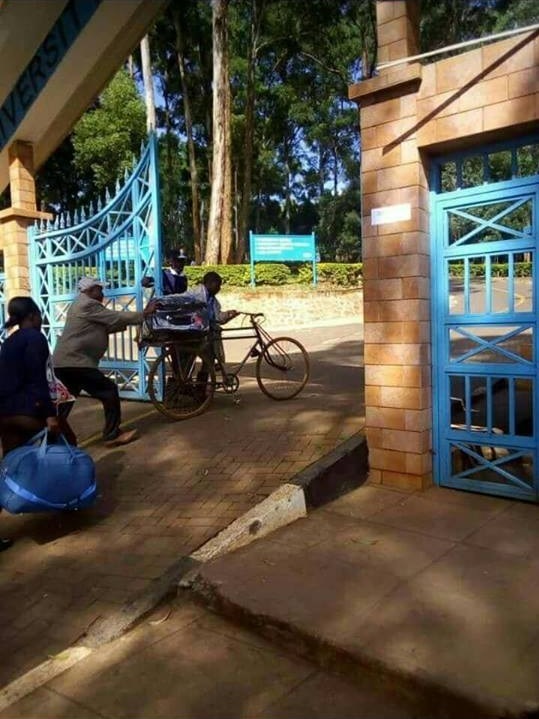 Thursday, September 13, 2018 - A 1st year student at University of Nairobi has touched the hearts of many Kenyans after he was spotted being escorted by his father in a bicycle while reporting to UoN, Kikuyu campus. Since his parents had no money to hire a car, he carried his goods in a bicycle. Kimilili MP, Didmus Barasa, is looking for the young man to sponsor his education. Check out these photos that have gone viral.